Welcome back to Weekend Bites! 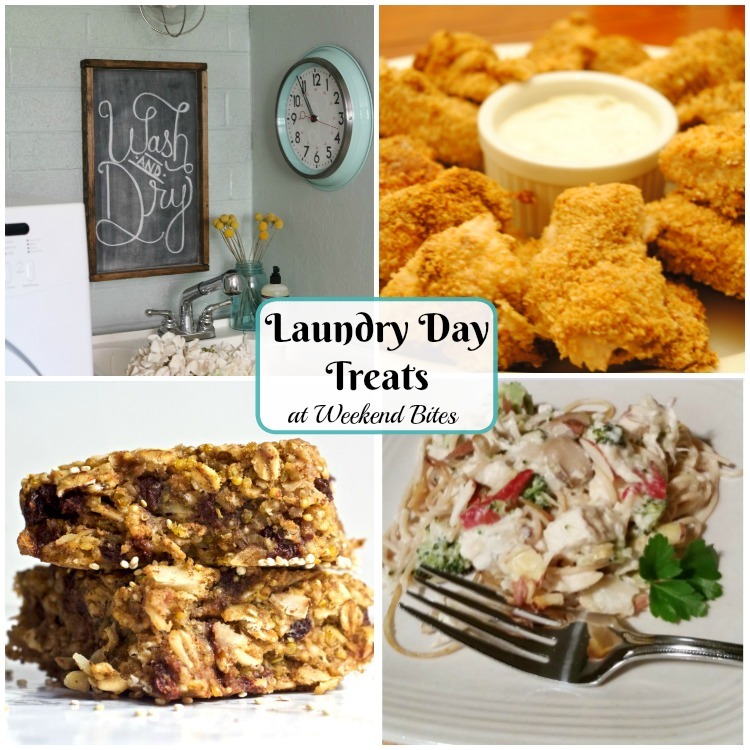 This week featuring laundry day treats. 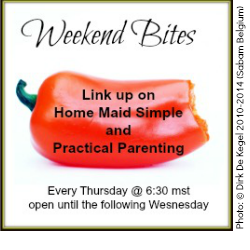 This week’s featured inspiration comes from Lolly Jane’s blog and her DIY Laundry Room on a budget. I’ve been doing a lot of laundry recently. We ran out of soap for awhile, and I just didn’t make time to get to the store. So the piles grew, and grew some more. When we finally picked up more detergent, I took one day and got all the laundry washed, dried, folded and put away! Go me! After a marathon laundry day, however, I definitely felt like I deserved a treat. So enjoy these features, and then go treat yourself – even if your laundry isn’t all done. Enquiring minds want to know – do you do your laundry all in one day, or spread it out?